There are so many types of travelers, nomadic, frequent, business, and weekend warriors, just to name a few. No matter your travel style, finding a way to cut down on travel costs is beneficial to maximizing your travel experience. One tool that many travelers use is a travel rewards program. Finding a program that works for you, that lets you cut through the red tape and focus on building the trip of your dream, can be hard. This is why American Express introduced their new Fixed Points Travel Program. What is the Amex Fixed Points Travel Program? As an American Express rewards cardholder, I was intrigued when I first heard about their Fixed Points Travel Program. The Fixed Points Travel Program allows Amex Cardmembers to travel their own way. Points can be used to book either economy or business class flights. The flight selection also includes access to one of our favorite tips for family travel, direct flights! This means I don’t have to worry about rushing through the airport with my kids to make my next flight. Or conversely, finding a place in the airport to nap or keeping the kids entertained while we are trapped in the airport due to a long connection. As the program name suggests, the number of points required to fly a specific route is fixed. This means there is no need to keep checking if you have enough points to fly. Simply look up how many points is required for your route and when you are ready, if there are still tickets available, then you can redeem your points for the flight. Simple. 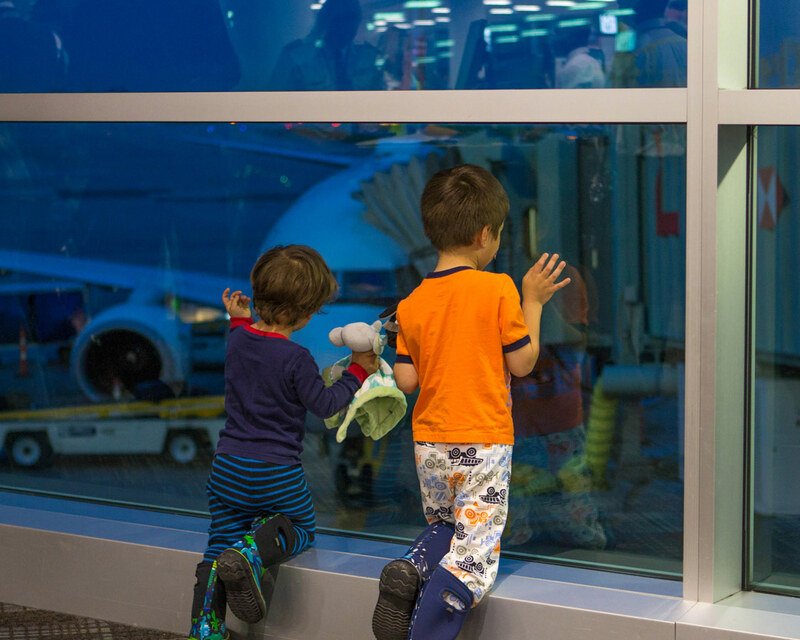 Why is the Amex Fixed Points Travel Program great for families? 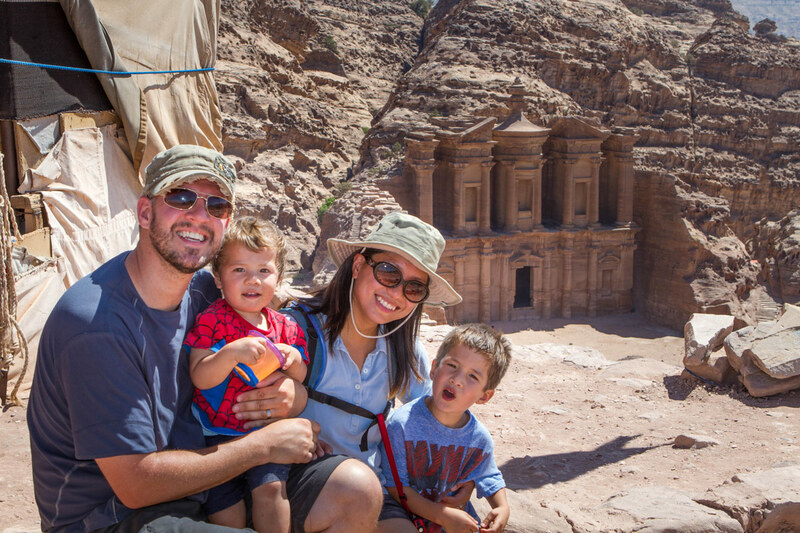 Traveling as a family of four means that we have more costs now compared to when we were traveling solo or as a couple. So, we try and find as many ways as possible to try and keep our travel costs down. Sometimes, this means using travel hacks such as reward points for flights. With the Amex Fixed Points Travel Program, we can plan ahead and know with confidence how many points we will need. There is nothing more frustrating than finally reaching the number of points needed for a flight, only to find out when I log into rewards portal that there are no longer any flights available at that points level! Between raising a family, having a full-time job, and maintaining our online business, there is just no time to be wasted – ever. I don’t want to be constantly checking rewards sites to see if the flight I want to book has all of sudden increased in the number of points required or if the cost or fees have changed. With The Amex Fixed Points Travel program, our time is streamlined as it offers a reliable guide to booking flights with no surprise fees or limitations. After all, we want to use all our extra time for travel! Disclosure: This post was sponsored by Amex Bank of Canada. The views and opinions expressed in this blog, however, are purely my own. Wandering Wagars is a participant in the Amazon Services LLC Associates Program, an affiliate advertising program designed to provide a means for sites to earn advertising fees by advertising and linking to amazon.com, amazon.co.uk, amazon.ca. Amazon and the Amazon logo are trademarks of Amazon.com, Inc. or its affiliates. I’ve had an American Express card for over 20 years so I need to check this out as I’ve never heard of it before. Very Flexible indeed. Even Direct that’s really good 🙂 Thanks for sharing. I need this card! I was just looking at cards with points now that I’m no longer a student on a student visa credit card and I’m adding this to my list! Thanks for sharing! That really does sound like a useful program. I’m already a cardholder, and it’s clearly long past the time when I start checking into benefits like this. It’s great to hear that so far they’ve been dependable and allow you some flexibility. I only have one travel card, and so far, availability of flights has been the biggest issue. I’m definitely checking out the Free Travel Points Program! We don’t have ”tis feature in the UK but we have other benefits of using AMEX. I definitely find it to be the best scheme offering a 2-4-1 companion voucher meaning I can fly business for less than economy. Result! Wow, this is such a great news, though I’m not an American Express Card holder, but this will surely be a help in the future. I know that there are people who are very happy about this news and I really like how they came up with this idea. Very well written and elucidated clearly with good points. This sounds like a useful program. A great way to earn points and redeem them to contribute to your travel expenses. I don’t use American Express, but will look out for similar programs. Sounds like a great programme! I hate when the points expire, so any way to make using points more simple would be greatly appreciated!! Ooh, may need to switch my cash back Amex to this one! I’m also from Toronto so now I know this is eligible for Canadians as many great c/c offers are not. I need to make a credit card for myself. There aee a lot of extra options you are entitled to when you have one. Sounds like a great program. I’m interested in the taxes you are charged for using points. In Australia they are revoltingly high – ie 80,000 points return to fly from Aus to say Vietnam (9 hour flight) plus $400 AUD in tax. If I fly to Europe, the taxes are closer to $700AUD How would that compare on this program. This sounds like a really awesome program! I use the Bank of America Travel Card and I love it because it doesn’t have to be specifically flights that I use it on. I get 1.5 points on every dollar spent on anything AND I can redeem them on purchases of any flight, accommodation, public transportation, etc. I really like it – it might be something you guys would want to check out! Cheers! Sweet rewards breakdown Kevin. Amazing how much we can get back by using cards regularly.